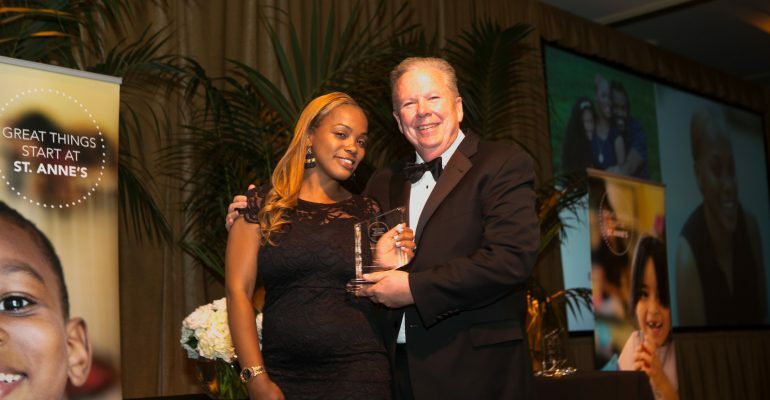 Mercedes Boston accepted the 2016 Triumph Award on April 16th at St. Anne’s annual gala, Evening of Angels. The award celebrates former residents of St. Anne’s and their inspiring stories. In her acceptance speech, Mercedes poignantly shared, “I am the kind of mother I never had. That’s my real award.